Using a student credit card while in college is a wise first step to building an excellent credit score. There are a ton of great student cards available to you in 2019, each with a unique set of benefits that can help you save money and improve your credit. Check out the best student credit cards from Bankrate’s partners to find the right one for you. Earn 5% cash back in rotating categories each quarter like gas stations, grocery stores, restaurants, Amazon.com and more, up to the quarterly maximum each time you activate. Earn 1% unlimited cash back on all other purchases – automatically. If you’re willing to do a little bit of work to earn a higher bonus every 3 months, this is a great card for you. The earning potential of the Discover it® Cash Back is unheard of for college students, but you’ll have to carefully track your spending. If you’re up for the challenge, this is an excellent choice! Commonly used for: Auto Rental Insurance, EMV, Extended Warranty Program, Mobile Pay Ready, Travel Accident Insurance, Travel Assistance, Zero Fraud Liability. This is an excellent low-maintenance card that rewards students with modest, consistent cash back. If you plan on traveling abroad, you’ll be happy to know this card has no foreign transaction fees. Keep in mind that the regular APR is high, so it’s best to never carry a balance month-to-month. Overall, it’s a solid choice and a great starter card. Earn 2% cash back at gas stations and restaurants on up to $1,000 in combined purchases each quarter. Earn 1% unlimited cash back on all other purchases – automatically. This card is a great example of why it’s important to find the credit card that rewards you for purchases you most often make. The Discover it® Student chrome offers bonus cash back- earn 2% cash back at gas stations and restaurants on up to $1,000 in combined purchases each quarter. Plus, earn unlimited 1% cash back on all other purchases – automatically at gas stations and restaurants — two of the most common spending categories for college students. You’ll also earn a special reward each year you achieve a 3.0 GPA. If those two perks align with you, look no further. Commonly used for: 0% Introductory APR, Mobile Pay Ready, Points. The Citi Rewards+ Student Card offers no annual fee and an introductory 0% APR for 7 months, allowing you to spend on books, bill payments and more without accruing interest. Plus, Citi rounds your points up to the nearest 10 points on every purchase - meaning a $1 granola bar from the cafe will earn you not one point, but 10. Read our full card review. What are student credit cards and how do they work? Our team of financial experts has been serving readers with objective, well-researched and actionable advice for all stages of life since the 1970s. From mortgages to credit cards, our team crosses the gamut of financial services — we cover the news, review financial services and products, build helpful tools, and more. We strive to be the best online resource for all your credit card questions. When it comes to credit cards for students, that means reviewing and comparing as many cards as possible to unearth the offers that stand taller than the rest. APR rates: Variable APR and penalty APR (the interest you pay if you miss a payment) can be high and compound quickly. 0% Intro APR offer term length: A long period at 0% APR means that you can charge a large expense (such as a new laptop) to your credit card and pay it off over time without incurring interest. Intro bonus and card perks: Great student cards should offer useful perks, like cash back on certain categories like gas and groceries. Discover’s rotating 5% bonus category card for students can produce an extremely lucrative first year of cash back for savvy spenders. As there’s no annual fee and a $20 reward for each year you maintain a 3.0 GPA, all students can benefit from this card, but those who don’t mind putting in a little strategy can really earn big. Maxing out the quarterly bonuses before the rewards rate drops from 5% to 1% will result in $75 in rewards. At the end of the year, that adds up to $300. Discover matches everything earned in year one, which means that number becomes $600. Rewards Rate: Enroll every quarter to earn 5% cash back on up to $1,500 in purchases made in various categories throughout the year; 1% back on everything else. 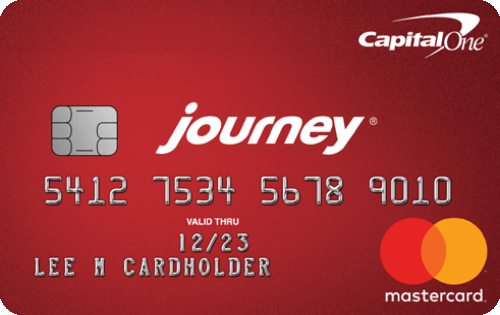 The Journey card offers 1% cash back on all purchases, but you can boost that to 1.25% if you pay your bill off on time. There are premium cash back cards with flat 1.5% cash back rates, so the fact that this card is essentially offering 1.25% to those new to credit is a pretty sweet deal. Of course, there’s no annual fee, but the no fees on foreign transactions is one perk that surfaces this card to the top of student card offers. Take it abroad, pay your bills off on time and in full every month—your credit limit may even increase after five months. 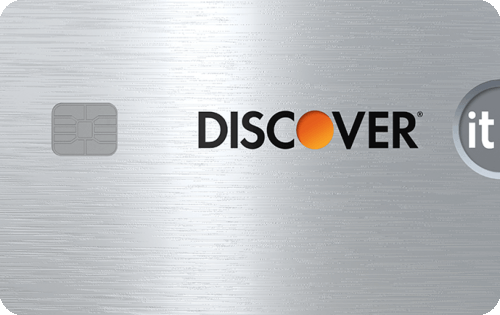 Discover’s chrome card for students earns 2% cash back on up to $1,000 in purchases at gas stations and restaurants per quarter. For everything else, you’ll earn 1%. Although that may not seem like a huge rewards rate, keep in mind that if you’re a student looking to build credit, the roughly $20 – $30 in rewards you earn every quarter will be a pleasant surprise you can count on for as long as you’re using the card. Not to mention that Discover will match everything you’ve earned in your first year, dollar for dollar. With the Citi Rewards+ Student Card, you’ll receive 2 ThankYou® Points per dollar at supermarkets and gas stations (for the first $6,000 spent each year, then 1 point) and 1 ThankYou® Point per dollar on everything else. Enjoy no annual fee, an introductory 0% APR for 7 months (then 16.74% – 26.74% variable) and a ten-point round up on every purchase you make (meaning your $2 coffee can earn you 10 points rather than 1). One of the coolest perks of the card is its 10% Points Back feature – you’ll get 10% of your ThankYou® Points back on the first 100,000 points redeemed each year. Students earn an unlimited 1% cash back on every purchase made with this card. Although that’s a modest rewards rate, it’s a nice benefit in the context of every other perk this card offers. Cardholders are eligible for up to $49 (lifetime total) for Amazon Prime Student, as well as ID theft protection, price protection, and other Mastercard Platinum benefits. It’s also another card without foreign transaction fees, so take it abroad with you. 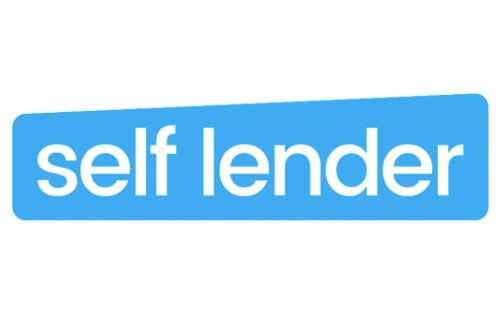 Self Lender’s Credit Builder Account is a unique offering in the student credit category. It doesn’t offer cash back or perks on category purchases, but instead offers help in securing a small loan to deposit in a Certificate of Deposit (CD) bank account. For college students in their second or third year especially, this is a huge asset when it comes to unlocking a nice fund upon graduation. Your loan will sit in the CD account for 12 or 24 months, and after that, you will be able to withdraw more than you initially put in. It’s common for young people, especially college students with mounting loan debt, to be apprehensive about applying for credit cards. In fact, 47% of college students age 18-24 don’t have a credit card simply because they want to avoid debt as much as possible, according to research from Sallie Mae and Ipsos. With a better understanding of credit and how a student credit card can benefit you in the long run, you’ll see that if you are a good candidate, applying for a student credit card is a wise first step in long-term financial wellness. Student credit cards provide you with a line of credit, usually $1,000 or less. When you use the card, money isn’t directly drawn from your bank account. Instead, the issuer (Capital One, Discover, etc.) pays for the expense and records the amount you charged. The total amount you owe to the issuer is called a balance. If you pay off the balance in full and on time every month, you’ll never owe more than what you spent. Though, credit card issuers allow you to make small “minimum payments” and carry the rest of the balance month-to-month. When you carry a balance, you’ll have to pay interest on the total amount. Your interest rate is also known as the Annual Percentage Rate or APR. APRs vary across all credit cards, but with a student card, you can expect your rate to be 14-25%. Let’s say you put $500 on your student credit card to pay for this semester’s books. Your card has a high APR of 24.99% and a minimum monthly payment of $25 on high balances. If you pay your balance off completely, you’ll start next month with a $0 balance. In total, you’ll have paid $500. If you can make only the minimum payment at the end of the month, you’ll pay $25. Next month, you’ll start with a $593.7025 balance. If you pay that off, you’ll have spent $618.7025 total on something that only cost $500. Why get a student credit card? Getting your own credit card is an essential step into adulthood. With your own card, you have more of a grip on your personal finances and can start or continue building your credit. You can pay your rent or internet bill with a student card, or even buy next semester’s books. Some people start out using their parent’s cards as an authorized user in order to ease into the credit card world and kickstart their credit history – but that’s not an option for everyone. The best way to get used to paying with your credit card, and clearing your balance, is to make somewhat regular smaller payments. Using your credit card for the odd meal here-and-there, or for your morning coffee, you can get you in the habit of using your credit card, paying your bill, and accruing rewards. Charging larger expenses to your credit card, such as flights for a spring break vacation, can be a great way to earn travel rewards and benefit from some of the insurances (such as rental car collision insurance and lost luggage insurance) offered by credit card issuers when you pay with your credit card. These benefits are great, so long as you have the income to pay your bill. Incurring interest will vastly negate the travel rewards or cash back you would get for these charges. It’s good to always be prepared. A credit card can be a great resource in your wallet in the case of emergencies. It’s good to establish clear boundaries of what constitutes an emergency — no, the late night pizza isn’t an emergency, even if you’re really hungry. If your car breaks down, your flight gets canceled on your way home and you need a hotel, or you have a visit to the ER and a medical bill to pay, with a credit card you know you can cover these expenses. Just make sure to pay your bill before you begin incurring interest. 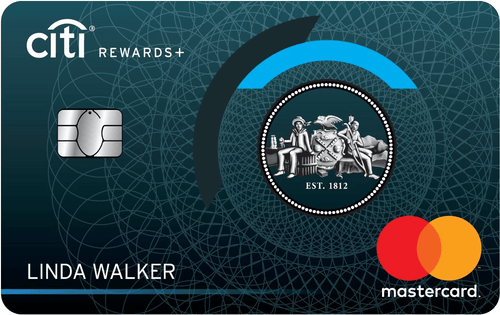 Rewards cards for students: Rewards credit cards in general offer cash back, points, and other perks based on how much you spend on the card and how often you use it. As student credit cards usually have lower credit limits, the rewards aren’t as lucrative, but they’re still worth collecting. 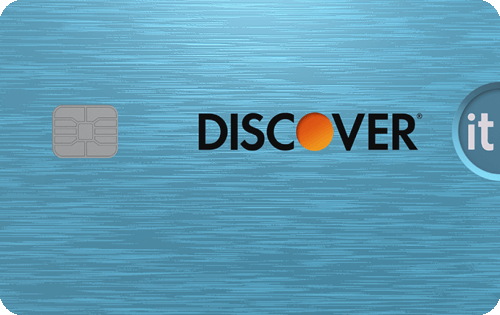 Some cards, like the Discover it® Student Cash Back, even offer statement credits for maintaining good grades. To be approved for a rewards student credit card, you’ll likely need to already have fair credit. Secured credit cards for students: Secured cards are designed for those with little to no credit history. They require an up-front deposit and usually have a low credit line of around $200. You won’t get the special perks of a rewards card, but secured cards do offer reporting to the three major credit bureaus. If you use a secured card responsibly, those reports will show you are creditworthy and actually boost your credit score. Already have a good credit score. 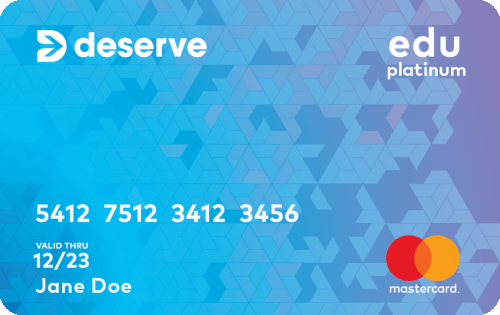 Although even the best student cards don’t require excellent credit, you’ll likely need a solid score to be approved for one with rewards like cash back or points. If you’ve ever had a credit card before and are in good standing, you’re probably in good shape. Have a reliable source of income. When applying for a credit card, one of the first things the lender will ask for is your annual income. Of course, lenders don’t expect students to be earning large sums of money, but you’ll need to demonstrate that you earn enough to cover what you’ll spend. Are budget-conscious. Student cards are great tools for building credit as long as you can stick to a budget. Young adults get into trouble with credit cards when they use them impulsively. Use it to pay off predictable, manageable expenses only. Have no credit history. Never used a credit card? Never taken out a loan for a car or college tuition? Secured cards don’t have the same credit score requirements as cards with rewards. Don’t have a reliable source of income. You’ll still need an adult cosigner, but if you’re not working while in school, a secured card will cut you some slack. Have a parent cosign for you and be careful with what you spend; if you can’t pay off your debts, your cosigner will be on the hook. Currently have at least $200 to deposit. Secured cards require a deposit and the best will require up to $200. If you don’t have that much cash available to you, consider saving for a while and come back to your application later. Annual Percentage Rate (APR): Interest rate paid on balances carried from one billing period (month) to the next. Penalty APR: The highest APR that will be applied to your account. Penalty APR is usually applied after you miss consecutive payments. To return to your original APR, you’ll need to make six consecutive on-time payments. Credit Utilization Ratio: Your CUR is a measurement of how much of your available credit you are using. If you have a $5,000 credit limit and usually stick to a $500 per month budget, your CUR is at 10%. The lower your ratio is, the better. If you use up a large chunk (or all) of your available credit every month, your credit score may decrease. Annual fees: Some credit cards have annual fees of $50 or more, though most student cards do not. Be sure to check for fees before applying for any card. Credit bureau: Credit bureaus research and track your credit history. In the US, there are three major bureaus—Equifax, Experian, and TransUnion. FICO: FICO is the company that compiles all of your credit history reporting and generates your credit score. FICO credit scores range from 300 to 850, with 850 being the best. Credit scores are one factor in determining your creditworthiness. Do your research. Credit cards have a lot of terms and conditions. It’s wise to understand exactly what kind of card you need and find a card that best meets those needs. If you don’t own a car and you rarely dine out, it’s probably not in your best interest to apply for a rewards card that offers cash back on gas and dining purchases. Pay off your balance in full every month. It may seem obvious, but the only way to avoid paying more than you have to is by paying in full every month. Some credit cards will let you choose your own due date, others will establish one for you. Make sure you note when your credit card bill is due and stick to your payment schedule. Avoid putting large expenses on your credit card. It’s best to not use your credit card to pay for tuition, vacations, down payments on a car, etc. Students get into credit card debt when large purchases are made, causing everyday purchases to pile up and make monthly bills unmanageable. Look for introductory offers. If you absolutely need to make a larger purchase, look for a student card with a 0% introductory APR. Some cards have 0% APR for the first several months. During that time, you can make one large purchase and gradually pay it off without any interest. Student credit cards with low APRs do exist, and they can usually be found with good introductory offers. Use your card for everyday convenience. Use it to pay for food, utility bills, movie tickets, and other small purchases. Having a credit card is incredibly convenient and a positive thing when you use it properly. Expenses for college students obviously go far beyond tuition. The College Board reports that the average on-campus student at a public, four-year, in-state university spent $1,250 on books and supplies in 2017-18. With the aid of a student credit card, the burden of those secondary expenses can be lessened and fit within a budget and schedule that works for you. Have you ever had a credit card? Have you ever taken out a loan? Do you have a steady work/income history? If you have never had a credit card and you currently have no loans or steady income, your best option for getting your own credit card account is to have a parent co-signer. You might also be eligible to be added as a verified user on one of their credit card accounts. If you already have a credit history, it’s important to know what your score is. Determining your credit score will let you know which cards you are likely to be approved for. Every time you apply for a credit card, your score will briefly drop by five points, so its best to do it as few times as possible. Applying for cards you are declined for will still negatively affect your score. First, request copies of your credit report, which you can do for free once a year from each of the three credit bureaus. You can also get a free credit report and credit score here. Once you know your credit score, you’ll have a better sense of what type of student credit card to apply for. If you have a good score, take a look at rewards student credit cards. If you have an average to poor score, consider a secured card. Credit cards usually have foreign transaction fees. Although some don’t, most do. If you plan on studying abroad, take a look at foreign transaction fees, which can vary from 2-4%. You should only apply for one card. Applying for several cards at once indicates risk and tells credit card issuers that you are desperate for credit. Do your research and stick to one application. If you’re denied, take steps to improve your credit (pay down other cards, loans, etc.) and apply for another card in a few months. Once you have pulled your credit report, checked your credit score, and narrowed your search to one perfect card, you’re ready to apply. Need to do more reading before you make a decision? No worries, choosing the right credit card as a college student is a big deal. We’ve reviewed pretty much every major student credit card on the market today, with all the latest offer information and in-depth analysis. Check out all of our latest reviews below.